To grow your business in multiple international markets, expanding your website and localizing your digital content to target each local market are vital. You likely need to develop or expand your digital information and advertising content to stay current with changes in the market and changes in digital delivery capabilities. That’s why you should partner with our website translation services team. To maximize the return on your website development, you must maintain current, appropriate, high-quality content that distinguishes your brand, establishes your company and products as the most competitive in the market and maintains your integrity. You must also ensure that your message remains consistent and persuasive across all markets. To achieve these goals, you need to address each market in its own unique language and observe its cultural expectations. Studies show that such localization Increases access to your brand, doubles time spent on your site, and triples sales. Of all online visitors, more than 65% speak languages other than English. These include 99 million across the world and 20% of Americans. Effective Content: Let professionals focus on your web copy to make it readable, appealing, convincing, accurate and complete enough to supply the needs and expectations of your particular audience. Rely on our high-quality translators to localize content for global audiences. Add blog posts, visuals, and electronic documents to attract potential customers. Desktop Publishing: Take advantage of all the graphic design features and visuals you can to connect with each local and international audiences. Make sure that whatever appears on your site is culturally sensitive to target each locale effectively. Our website translators can guarantee appropriate localization that insures accuracy of the source material and integrity of your brand. 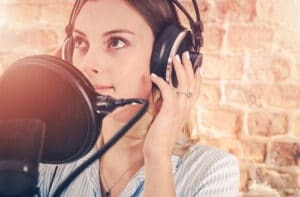 Video Voiceovers and Subtitle Translations: Incorporate compelling image and sound files into your website to maximize audience appeal and understanding. Let video subtitles and voiceovers do the talking and convincing for you. You can trust our translation team to create or adapt content in the most appropriate audio and video formats to present an accurate picture of your brand in the most locally sensitive manner possible. Our video voiceover talent and subtitling professionals are experts in what they do and samples are available. Multilingual SEO: From the outset of the creation or redesign of your website, think globally about SEO. Our multilingual SEO translators can enhance efficiency, consistency, and localization effectiveness when SEO concerns shape the initial concepts, rather than being inserted later in the process. All you have to do is contact one of our expert website translators for a free estimate and to discuss your needs. Call us today at 866-371-4863.